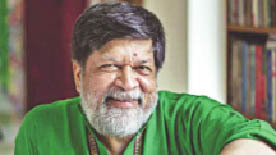 Desk Report: Two Bangladesh-born members at the British parliament, Rushnara Ali and Rupa Huq have called upon the government to release famed photographer Shahidul Alam, reports TheDaily Star. Ali, member of Parliament for Bethnal Green and Bow, UK, called upon the government to recognise Shahidul’s right to free speech and fair treatment. In a statement, she said: “I have received numerous representations from my constituents, who are friends of Mr Shahidul Alam, seeking assistance following his arrest and calling for his immediate release. On the other hand, Rupa Huq Member of Parliament for Ealing Central and Acton, UK, wrote a letter to Bangladeshi High Commission and UK Foreign Office demanding action to urge the authorities in Bangladesh to drop the case against Shahidul. “Please exercise the power you wield to urge the authorities in Bangladesh to drop the case against him,” the letter written by Huq read. “Of most concern to his family, friends, fellow protestors in Bangladesh and abroad, and myself, is the state in which he appeared in the courtroom,” she added. Shahidul was picked up by law enforcers from his house in Dhanmondi on August 5, hours after he posted a video on Facebook and participated in an interview with Al Jazeera about the road safety protests in Dhaka. On August 6, Shahidul was remanded in a case filed under the controversial section 57 of the Information and Communications Technology (ICT) Act on charges of “spreading propaganda and false information against the government”. Shahidul has himself alleged that he was tortured in custody – a claim refuted by police. Since then, besides local uproar, the international community has been extending support to Shahidul Islam. Journalists from all over the world has been demanding for his release.